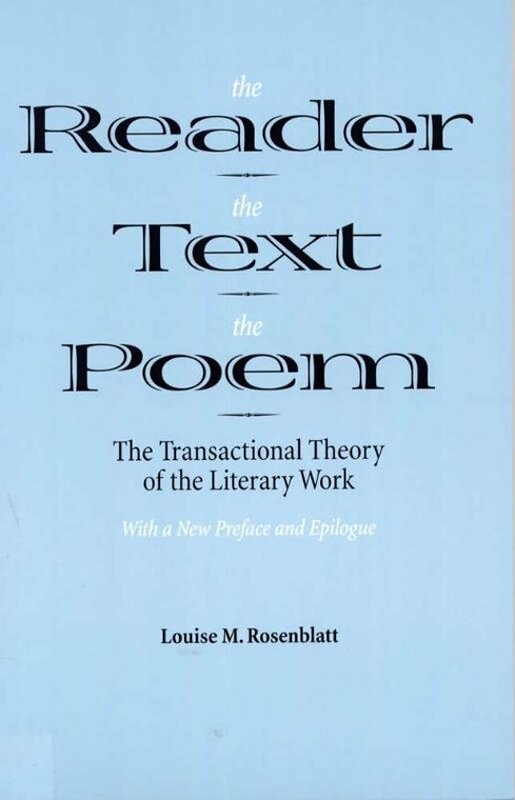 Louise M. Rosenblatt's award-winning work continues increasingly to be read in a wide range of academic fields-literary criticism, reading theory, aesthetics, composition, rhetoric, speech communication, and education. Her view of the reading transaction as a unique event involving reader and text at a particular time under particular circumstances rules out the dualistic emphasis of other theories on either the reader or the text as separate and static entities. The transactional concept accounts for the importance of factors such as gender, ethnicity, culture, and socioeconomic context. Essential reading for the specialist, this book is also well suited for courses in criticism, critical theory, rhetoric, and aesthetics. Starting from the same non-foundationalist premises, Rosenblatt avoids the extreme relativism of postmodern theories derived mainly from Continental sources. A deep understanding of the pragmatism of Dewey, James, and Peirce and of key issues in the social sciences is the basis for a view of language and the reading process that recognizes the potentialities for alternative interpretations and at the same time provides a rationale for the responsible reading of texts. The book has been praised for its lucid explanation of the multidimensional character of the reading process-evoking, interpreting, and evaluating the work. The nonliterary (efferent) and the literary (aesthetic) are shown not to be opposites but to represent a continuum of reading behaviors. The author amply illustrates her theoretical points with interpretations of varied texts. The epilogue carries further her critique of rival contemporary theories.